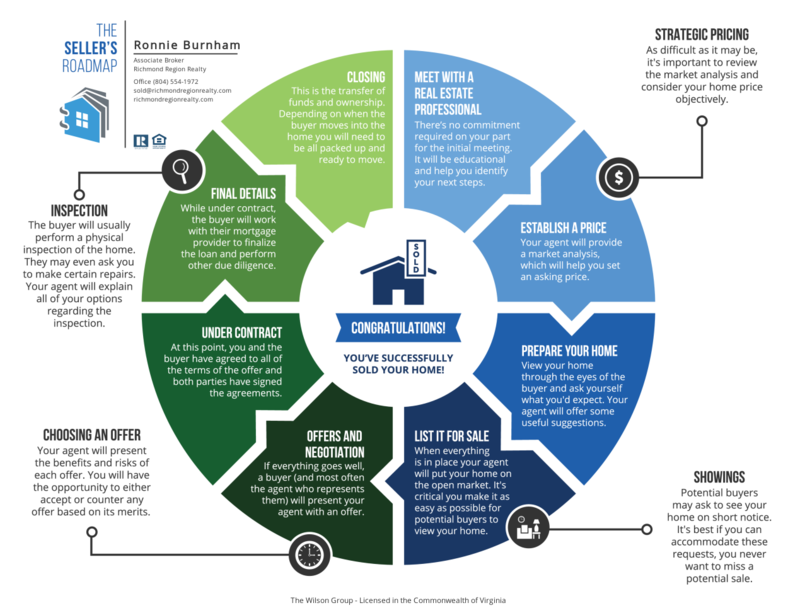 Richmond Region Realty’s innovative Home Selling System was developed to provide our clients with a consistent and proven method to prepare their homes for sale, price their homes appropriately and get the word out to as many prospective buyers as possible. The benefits of our home selling system are a quicker sale at a higher price. The most important step in selling your home is pricing it correctly from the onset. It’s a well-known fact that overpriced homes take longer to sell and usually sell for a lower price. Since the majority of your showings will occur in the first 30 days on the market, it is crucial that your initial list price matches buyer expectations. Our agents are trained to use advanced market analysis software to build a comprehensive report that will accurately determine the optimal list price for your home. Request a detailed market analysis of your home. In order to get top dollar for your home, you have to make your home look its best. Our agents are trained to help you identify and prioritize repairs and improvements that will provide the best return on your investment. Before your home goes on the market, we offer home staging suggestions to make every room in your home look its best. Our Home Selling System was developed to provide our agents with a consistent and proven manner to get our listings in front of as many potential buyers as possible. Our reach is so extensive because we invest heavily in the web, social networking, email, direct mail and print campaigns that feature our listings in all the places where buyers are looking. When you hire us to sell your home, we will identify your ideal buyer and then develop and implement a tailored home marketing program designed to reach them. Request a seller specialist today. Successfully negotiating a real estate contract is more than a matter of luck or natural talent. When you receive an offer having an agent with a proven track record of bringing buyers and sellers together can make a huge impact on your final sales price. Our home listing specialists are skilled negotiators who can help you get to the highest price a potential buyer is willing to pay, as well as the best terms, shortest contingencies, fewest repairs, and lowest closing costs. Rather than approaching negotiations from an adversarial winner-take-all perspective, our agents focus on your top priorities and strive to keep emotions from overrunning the process. While your home is on the market, we will provide at least monthly status reports that show your top prospects, a summary of feedback from your showings, a review of completed and planned marketing activities and any recommended adjustments to the course. In order to keep tabs on your competition, we set up a neighborhood alert system that will notify you and your agent as similar homes in your neighborhood come on the market, go under contract or sell. Once your home goes under contract we use our sophisticated online transaction management system to make sure the buyers, and their agent, follow through with their contractual obligations in a timely manner. To learn more about our service, hear it from our Happy Customers!